This official, lavishly illustrated BBC-produced tie-in to the Great American Railway Journeys series captures Michael Portillo’s epic journey across the United States. 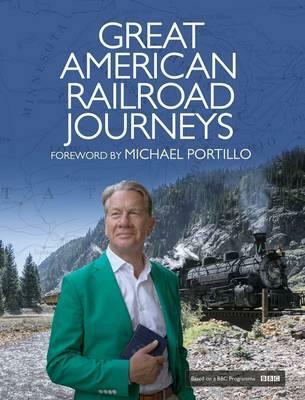 Michael Portillo embarks by train on an epic journey from New York and Boston to the deep south of Atlanta and New Orleans, and then on to Chicago, Colorado, New Mexico, and ultimately San Francisco. Truly a colorful and exciting collection of essays and vignettes that celebrate the rich history and expansion of nineteenth-century North America, Great American Railway Journeys is a must-have purchase for any armchair traveler and fans of nineteenth-century US history.